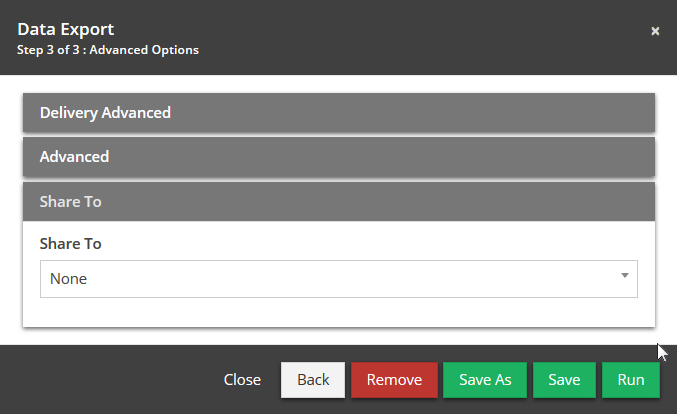 Documentation and SupportReleases 2015-11-17 ReleasesAdditional Export options added for connections. 1. 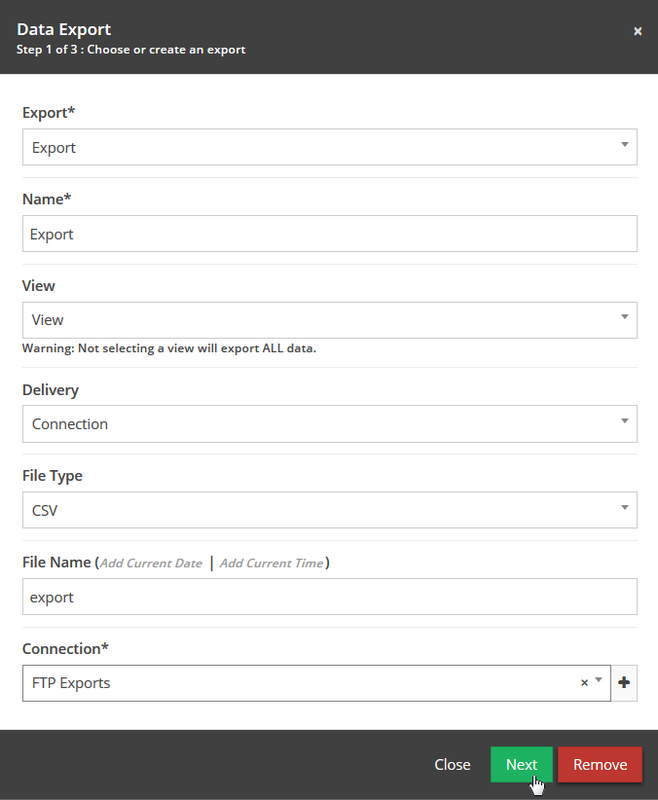 Export using a connection. Click next to get to the export options. 2. 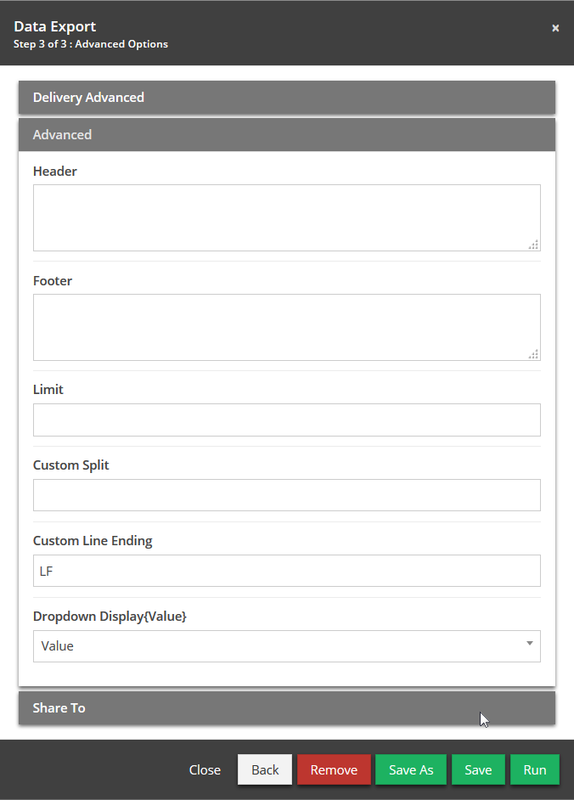 Choose whether you wish to chunk the data into multiple files. 3.1. 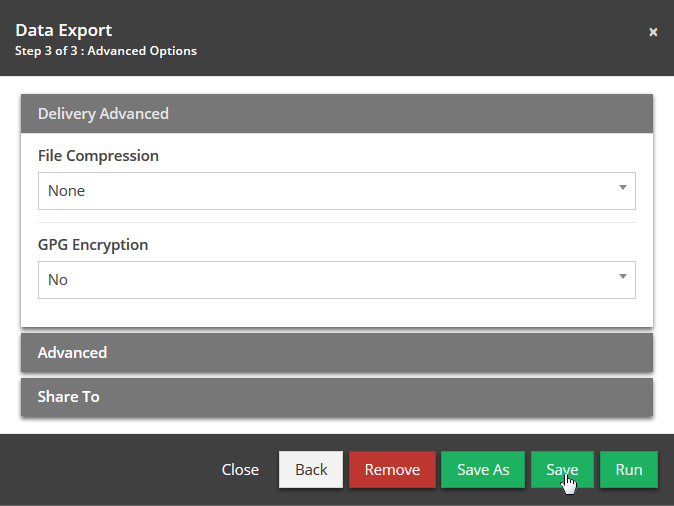 Choose if you want compression or encryption. 3.3. Choose if you wish to share the export. Prev: Quick links added to add date and time to the end of an export file name. Next: Dashboards can now be filtered.